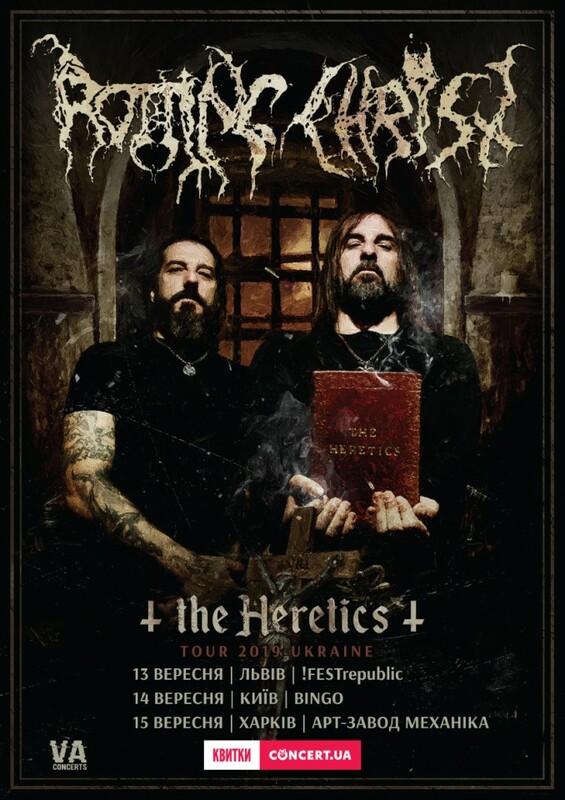 Titans of the world metal scene with a 30-year career, Rotting Christ, are going on tour in Ukraine with their new album "The Heretics". On September 13 in Lviv, September 14 in Kyiv and September 15 in Kharkiv, the Hellenes will play 3 gigs in support of their latest album "The Heretics", with which the band is currently blasting European stages. Do not miss the chance to see one of the shows of the leading metal act who will plunge the Ukrainian audience into the storm of the unrestrained reefs and thunderous drums! To see the show of one of the best live bands in black metal. To feel the power and rage of the band’s new album "The Heretics". To ensure the relevance of the band even after 30 years of its existence. Tickets from 460 UAH are available here. Event in Lviv on Facebook, event in Kyiv on Facebook, event in Kharkiv on Facebook. Rotting Christ fans will confirm that each concert of the Greeks is a high-quality show due to the incredible energy and skillfulness of the group's members, led by the mastermind Sakis Tolis.